The following screenshots show Lucidor in action. 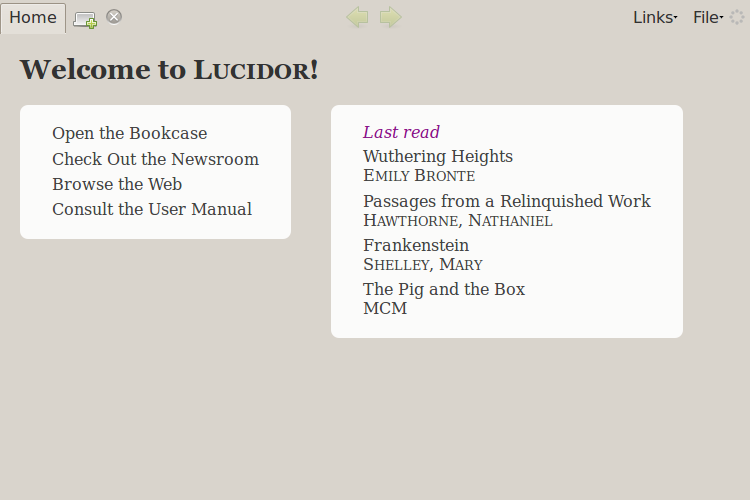 When you start Lucidor you are presented with the home page from which you can navigate to other parts of the program. 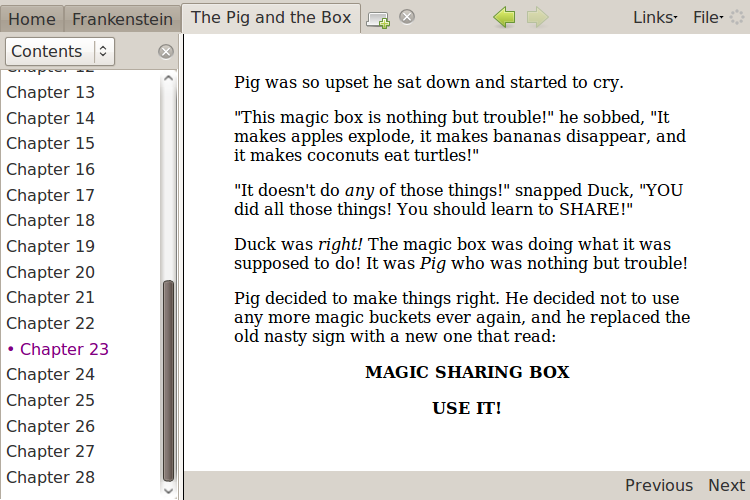 The right side of the home page has quick links to the last read books. 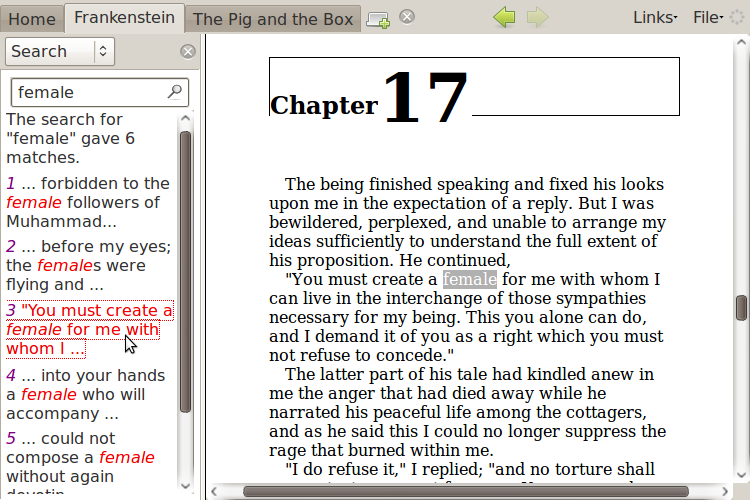 When you read a book you can enable the sidebar to show a table of contents which can be used to navigate in the book. 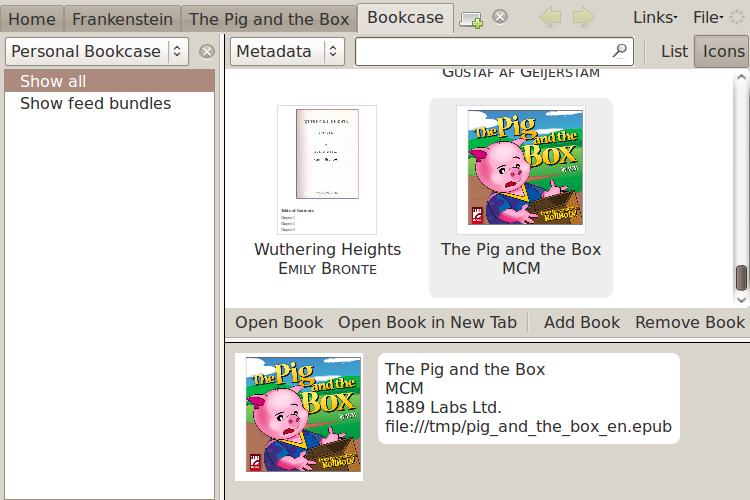 Note the tabs at the top which allows you to have multiple books open at once. 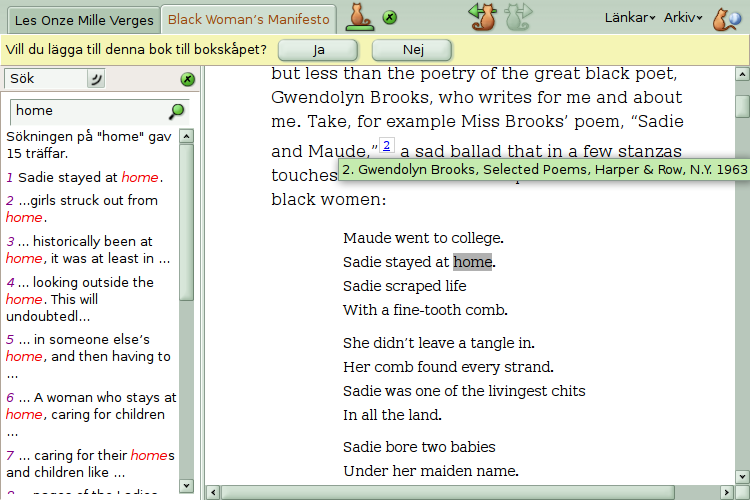 The sidebar also contains a search panel which lets you search through the text of a book. Lucidor keeps your books in a personal bookcase. 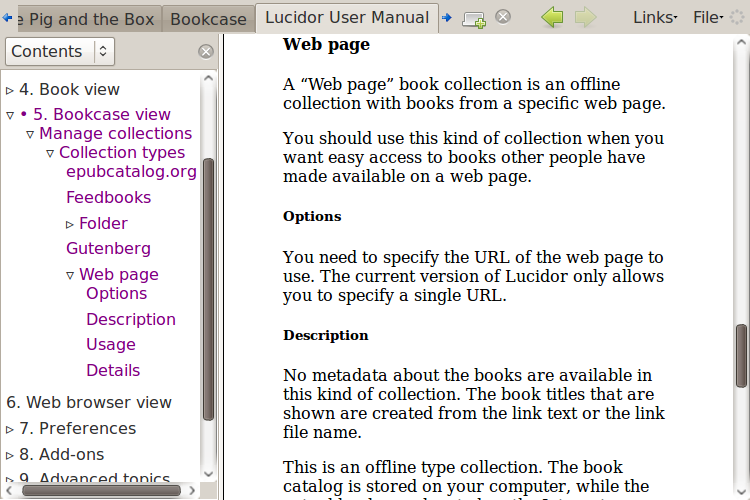 Lucidor also lets you browse online catalogs and download books from them. 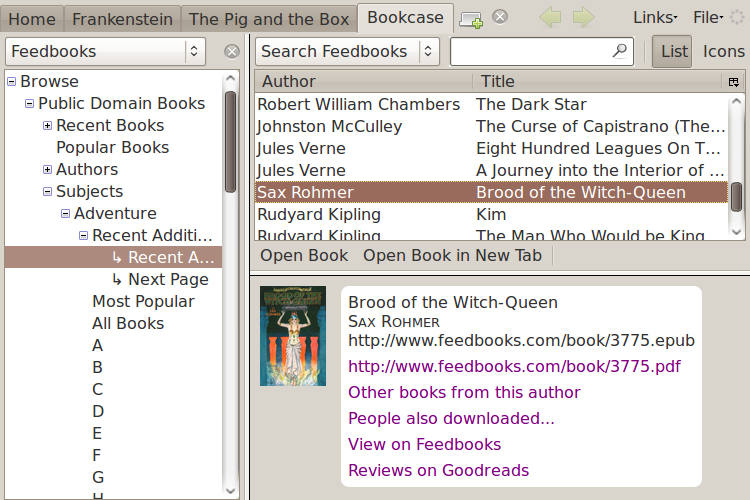 This example shows the catalog from Feedbooks.com, where you can download books for free. You can change how Lucidor looks by using different themes. This example shows a theme called Red Cats (green flavor). You can learn more about Lucidor by reading the Lucidor User Manual which can be opened from the home page in the application.